Roger was born in Bristol, is married to Susan and has two children and three grandchildren. He is a retired chartered accountant and a Fellow of the Chartered Institute of Taxation. He was a Partner with Arthur Andersen from 1976 to 1998 and was head of their London tax practice for 10 years. He then headed the tax practice for Europe, Middle East, India and Africa and was a member of the Global Board of Partners. He was Global CFO based in Chicago for two years. He co-authored a book entitled “Establishing a Business in the United Kingdom.” Roger is a former Treasurer and Trustee and now a Vice-President of Wooden Spoon, a children’s charity. Roger’s interests include cricket, tennis, football, theatre, food and wine. 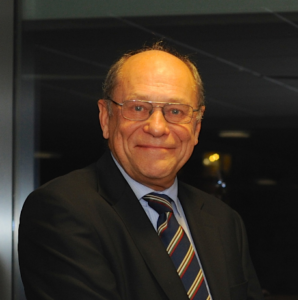 He is a lifetime Gloucestershire Cricket supporter and became Chairman of the Club in April 2013. Dr Timothy Brain OBE QPM BA PhD FRSA CCMI Deputy Chairman of Gloucestershire County Cricket Club. Dr Timothy Brain was Chief Constable of Gloucestershire from 2001 until his retirement in January 2010, having previously served in Avon and Somerset, Hampshire and the West Midlands. He was national lead on police finances and led several high profile operations, notably Gloucestershire’s response to the extensive flooding of 2007. Before joining the police he graduated with first class honours in history from Aberystwyth University and later gained a doctorate also in history. He retains a continuing interest in history and frequently lectures on aspects of church, military and police history. 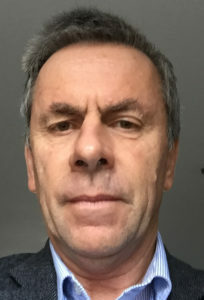 He is the author of two major works on policing, A History of Policing in England and Wales from 1974 (2010) and A future for policing (2013), both published by Oxford University Press. He is a frequent speaker and broadcaster on a variety of police subjects including emergency planning, police futures, strategic leadership, finance, and police history. He is a Visiting Professor at the University of Gloucestershire, holds honorary fellowships at Cardiff and Aberystwyth universities, and is an honorary LLD at the University of Gloucestershire, a Companion of the Chartered Management Institute and a Fellow of the Royal Society of Arts, Manufactures and Commerce. He is Treasurer and a member of the Council of Aberystwyth University; Chairman of the Gloucester Three Choirs Festival; a trustee of Friends of the Soldiers of Gloucestershire Museum, Gloucester, and Nature in Art Trust, Gloucestershire; and a governor of Eversfield Preparatory School, Solihull. He is the Deputy Chairman of Gloucestershire County Cricket Club. He was awarded the Queen’s Police Medal in 2002 and the OBE in 2008. John Hollingdale MA (Oxon), FCA, MCIArb Honorary Treasurer John Hollingdale was appointed Honorary Treasurer of the Club at the 2016 Annual General Meeting, succeeding Tony Elgood. John, who is married with four grown up children (and eight grandchildren) is Bristol born and bred. He is a keen sports fan and a lifelong supporter of Gloucestershire. John, who enjoys long distance walking and cycling, also plays golf, tennis and badminton. He is a retired chartered accountant and ex-partner of Deloittes, Hollingdales and through successive takeovers of Kidsons and then Baker Tilly. He is Chairman of Space Engineering Services Limited, a national refrigeration company based in Bristol, and is the current Treasurer of the SS Great Britain and Chairman of We Care and Repair, a local charity. John was educated at Queen Elizabeth’s Hospital School in Bristol and at Keble College, Oxford. He qualified as a Chartered Accountant in 1975. He is also an Arbitrator and has acted on many arbitration appointments over the last fifteen years. 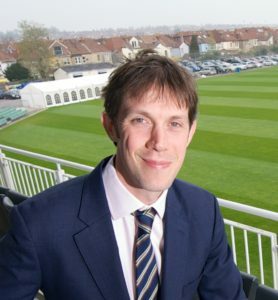 Will Brown Chief Executive The “executive” of the club is led by Will Brown who has forged a career in sport holding positions previously with Sporting Index, Cricinfo, The Lawn Tennis Association and prior to joining Gloucestershire, Betfair where he oversaw a £200m+ UK & Ireland P&L. Will has a passion for all things sport and firmly believes in the “power of sport” from grass roots through to the professional game and the good that it can and should drive. His previous roles have seen him work in and lead commercial and operational teams and he has great experience on both sides of the commercial fence having sold high level deals and also having bought and activated sponsorships such as Belfair’s sponsorship of the Test Match Grounds, Manchester United, Barcelona, Ascot racecourse and England rugby. At 40, Will is a lifelong Gloucestershire cricket and Bath rugby fan and is married with three boisterous toddler boys with a home in Bath. David Jones David has worked for Waitrose for 34 years and is a Board Member. 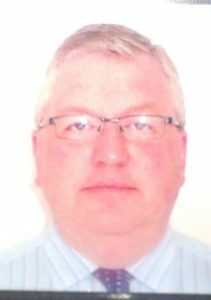 He has fulfilled a number of senior roles in retail, commercial, supply chain and personnel sectors and is based at Waitrose's head office in Bracknell. 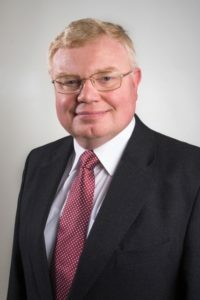 He is an Independent Member and Deputy Chair of the Bracknell Forest Council Standards Committee, and Chair of Wokingham Council's Independent Remuneration Panel. He is also actively involved in horse racing and is a Steward at Ascot, Epsom, Kempton Park and Brighton. David grew up and went to school in Bristol and first visited the Club in the 1960s with his grandfather. He was elected to the Club’s Executive Board in April 2014. David Mclauchlan - Biography to follow. David Partridge - Biography to follow.